These generally include runny nose and eyes, coughing, and sneezing. In humans these symptoms are generally caused by a rhinovirus (which causes the common cold) or the influenza virus (which causes flu). While dogs have a range of other respiratory viruses (parainfluenza virus, reovirus, canine herpes virus) and bacteria such as bordetella (which causes kennel cough), they don't get human rhinovirus or influenza virus, and their respiratory viruses are not normally infectious to us. A common respiratory disease, kennel cough can cause a cough, discharge from the eyes, and a high temperature. Affected dogs are highly contagious and are often given antibiotics to fight it off, although it can take weeks for them to fully recover. Some bacterial elements of kennel cough are vaccinated against in a normal booster and there is also a bordetella vaccine available. It is given up the nose and is often recommended for dogs who mix with a lot of other dogs, or regularly stay in kennels. Other viruses, including adenovirus, coronavirus, herpes virus, and distemper can also cause respiratory symptoms, including sneezing, nasal discharge, and lethargy. Adenovirus and distemper have more serious effects and can be fatal, but vaccinations are available. 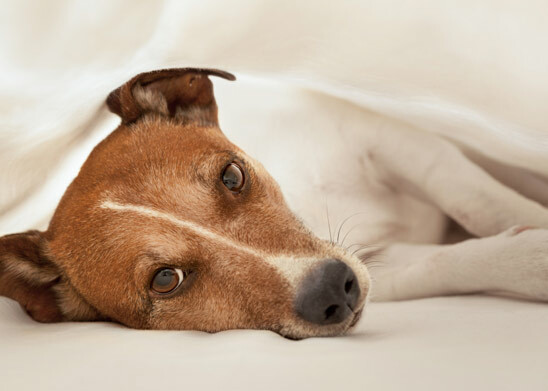 Canine influenza is present in several countries and can cause severe illness and fatalities. So far, I am not aware of cases in the UK, but it may come in with travelling dogs.